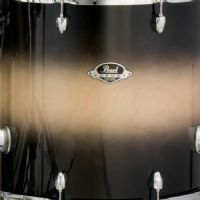 Taking its cue from Pearl’s award-winning Reference Series, the new Export puts sound first by blending premium Poplar and rich Asian Mahogany for an incredibly lush and full-bodied tone. 22BD ADD-ON PACK jet black 2218B/0807T/1414F/TH70I. 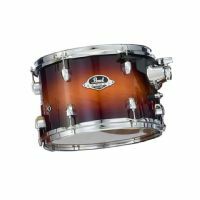 The Reference Series sets the new boundaries to the drumming. The innovative design of the boiler unprecedented sonic dimension is realized. 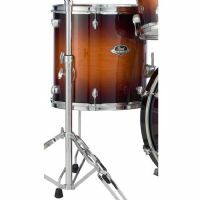 EvenPly-Six Shell: This premium, six layer North American Maple shell incorporates reduced-thickness, cross-laminated plies. 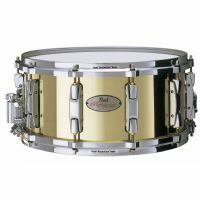 This 28% thinner shell produces the tonal purity and increased resonance of Pearl’s legendary Masters MMX. 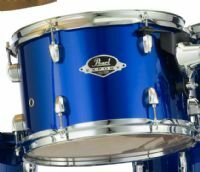 This Pearl EXL1616FC255 Export Lacquer 16x16 Floor Tom in Nightshade is a 6ply, 7.5mm Poplar/Asian Mahogany shell with a high gloss lacquer finish. 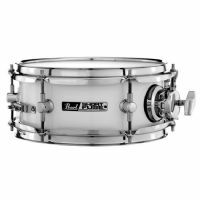 Pearl Export Lacquer Series 13"x9" Tom Tom features Reference-inspired shell composition, a choice of high gloss lacquer finishes, and high-impact shell hardware to fuel the fire for future drumming icons. With Opti-Loc Mount. 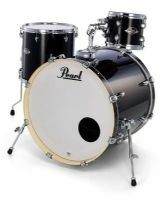 Pearl Export Lacquer Series 18"x16" Floor Tom features Reference-inspired shell composition, a choice of high gloss lacquer finishes, and high-impact shell hardware to fuel the fire for future drumming icons.